Plate Racks in solid wood are hard to find. Select your Plate Racks here today. 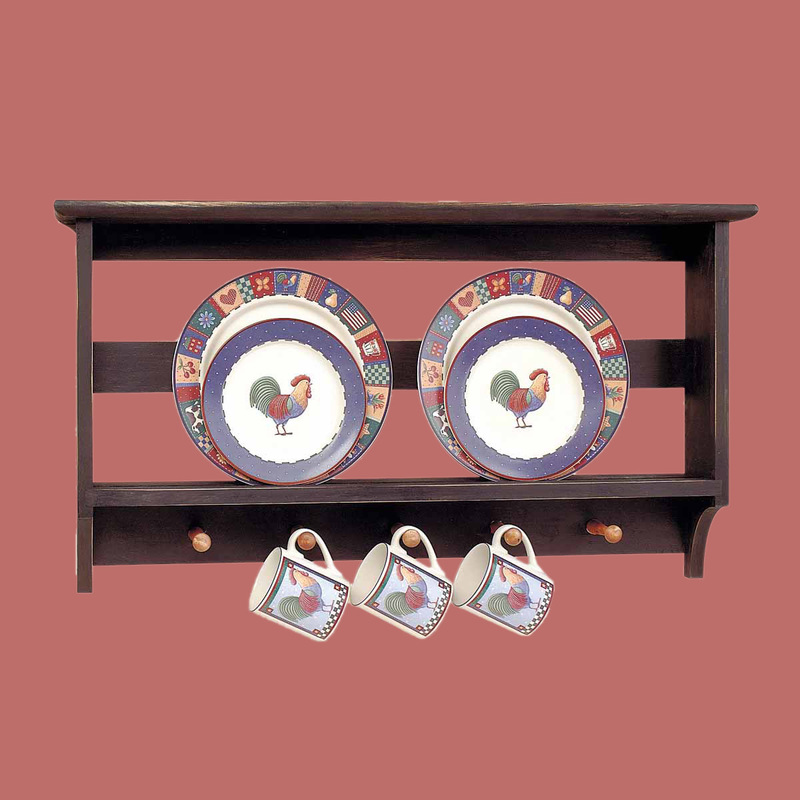 Plate Rack. 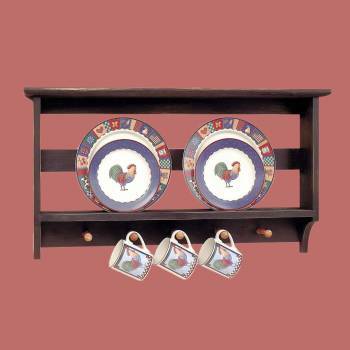 This two tier Shaker plate rack is handcrafted from hardwood. It measures 18 1/2 in. high x 33 1/2 in. wide x 4 3/4 in. proj. 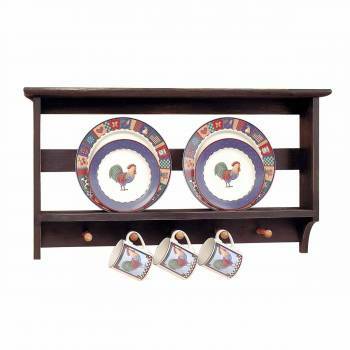 There are 5 pegs below the shelf and the item is finished in Black with Autumn accents.